The Dyno Dynamics Dynamometer is a load-bearing diagnostic tool which we use for the tuning of vehicles. The Dynamics Dynamometer allows us to test and tune the vehicle under various conditions by applying load. It allows us to safely tune your vehicle at various speeds and conditions without having to keep our eye on the road. 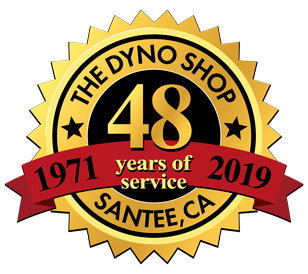 The Dyno allows us to simulate different driving/load conditions, and to diagnose drivability issues “in the shop” while using other diagnostic equipment, i.e. scanner, scopes, gauges and meters; we can check horsepower, torque, and air/fuel ratio. If you’re making an appointment to have a specific issue diagnosed, it is very helpful to let us know about the problem up front; that way we can be sure to focus a portion of the test on that issue, and give you diagnostic results that directly address the problem. 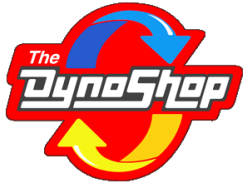 The Dyno Shop's Dyno lets us see exactly what is happening with your vehicles engine in real-world conditions without ever leaving the shop. It allows us to simulate different driving/load conditions, and to diagnose drivability issues while using other diagnostic equipment -- i.e. scanner, scopes, gauges and meters. We can check horsepower, torque, and air/fuel ratio. This takes the guesswork out of tuning operations, and lets us precisely diagnose electrical glitches, fuel, clutch, or torque converter problems. Whether your vehicle is a vintage auto from the turn of the century, a muscle cars from the 60’s or 70’s, or the latest, electronic, fuel-injected vehicle, we can improve your driving experience and make your car or truck the safest, most reliable, and best-performing vehicle possible.